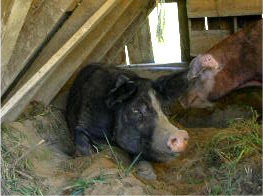 We have four new sows on our farm. Three are C.S.Farmer's and one belongs to D3. After months (years?) of saving for a puppy, D3 decided that investing in a sow would give her profits. She plans on getting a puppy another time, but she wanted this opportunity to have her own farrowing business. It's hard to find piglets to grow out in our area, so she already has a place to sell them- her family farm. She was hiding, so I could only get this one. I'll share more about the new girls in future posts. "Hey, wait! You forgot me!" "But you always call me a pig at dinner time." Aw Pigs, Not a fan. 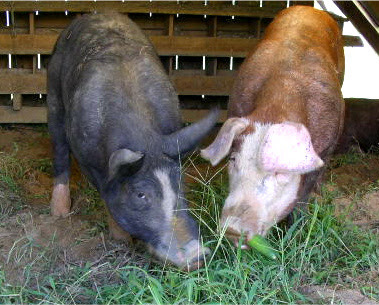 We had 1000 breeding sows. I think your four would be nice though. 4 is manageable. 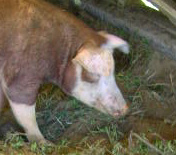 Our first sow though was named Sweet Rose. She was too. My brother's daughter just got Grand Champion Hog at our State Fair. I hope you are having a very nice week. A very wise business move! I always love your pictures! !